While Bob Wilson's playing will be most familiar to Spectrasonics users from the best-selling Liquid Grooves Xpander, he has a rich background in the LA scene as a respected producer and arranger, a gifted songwriter, and as a much in-demand drummer. Bob's simply the kind of guy whose enthusiasm is always contagious. In the Jazz world, he is well-known as the founder of the '70s band Seawind, a group that would go on to forge a groundbreaking synthesis of jazz and contemporary pop music. 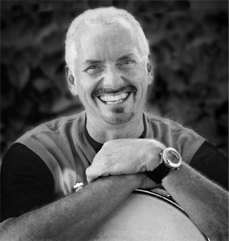 As a studio musician and songwriter, as well as a producer and arranger, Bob has performed and recorded in virtually every area of the industry. He has appeared in concert and on many albums with such artists as Quincy Jones, Herbie Hancock, The Crusaders, George Benson, Boz Scaggs, Henry Mancini, Lee Ritenour, Andrae Crouch, Michel Colombier and many others. His arrangements and performances can be heard on numerous films & TV shows. Bob's one of the few who's not only a "Jack of all trades", but a Master of many.